Overview: Print documents (DOC, DOCX, XLS, XSLX, PPT, PPTX, PDF, TXT) from your smartphone’s SD card and from Google Docs. Also print email from Gmail, photos from the SD card, contacts, agendas, SMS or MMS, call logs, and even web pages directly from your device to a printer right next to you or anywhere in the world. Please note: This is the premium, unlocked version of PrinterShare Mobile Print. All the premium features are available, and no key is required. Premium Features: nearby direct printing via Wi-Fi or Bluetooth without PC; nearby printing to PC or Mac shared printers; unlimited remote printing. You do not have to buy pages or have a subscription on the receiving computer (Mac or PC). 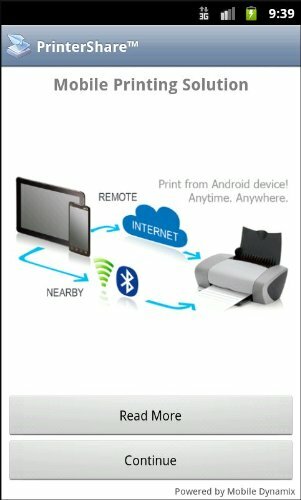 Nearby Printing: you can print to WiFi printers shared on your Local Area Network from your Android phone without having to install PrinterShare computer software. You don’t need to log in or sign up with the system for Nearby Printing. A wide variety of printers are supported. Remote Printing over the Internet: make sure you’ve installed the PrinterShare software on the computer connected to the printer, just like when you print from computer to computer using PrinterShare, then just log in to your free account with your smartphone and find and select the printer you want to print to. In addition, from your mobile device you may look for printers shared by others, select one, and print on it. 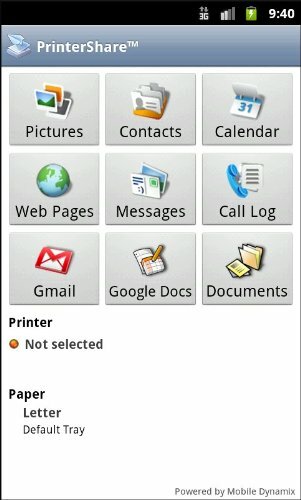 0 Komentar untuk "PrinterShare Mobile Print Premium v6.5.5 apk"